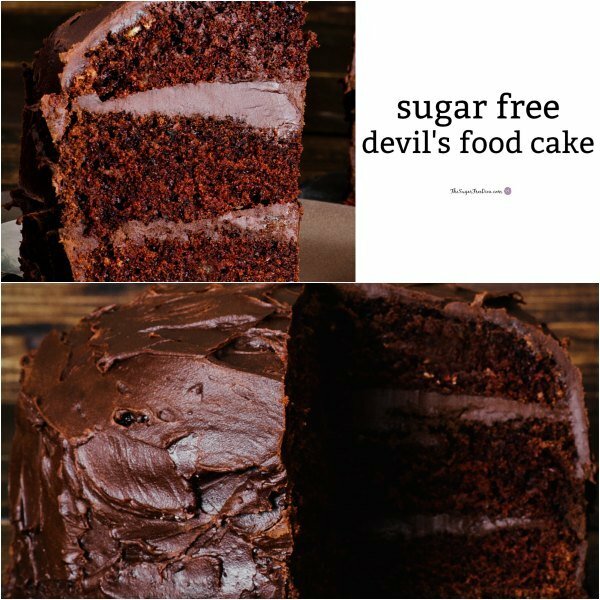 Because almost everyone has had a craving for this in the past, there is a recipe for Sugar Free Devil’s Food Cake. It seems as if this is a popular cake so why not make it without all of the sugar? I often wonder if anyone else has noticed that there is an ‘Angel Food Cake’ as well as a Devil’s Food Cake. Both cakes are known for their airy and moist texture. However, one of these cakes resembles an Angel more than the other. I am holding short of equating the chocolate of a Devil’s food cake to the the Devil. You can make your own conclusions. The truth is that both cakes are pretty much the standard choices for go-to cakes. If you were to check out your local bakery or bakery section, you would most likely find that a majority (if not all) of the cakes are either of Devil variety or Angel variety. However, you may also find a close relative to either of these as well. That is because these cakes are well-liked, easy to match with a frosting, and relatively simple to make. Thus, we see a lot of them. If you are craving a chocolate taste in your cake, this would be a good choice. As mentioned, this cake is easy to pair with a frosting. You can find numerous frosting recipes here as well. I have a 4 ingredient sugar free vanilla frosting, a 5 ingredient sugar free cream cheese frosting, and a sugar free pudding and cream cheese frosting to get you started. Also popular are my Stevia cream cheese frosting and finally, my sugar free butter cream icing. We will need cocoa to make this cake. The cocoa should be an unsweetened powdered cocoa. Because of the leavening ingredients that we are using, for best results, use a cocoa powder that has been treated with an alkalizing agent. Some folks refer to this kind of a cocoa as “Dutch”. You can find “Dutch Cocoa” online. You could use a regular cocoa however, your cake will most likely not be as ‘airy’ in texture thanks to the leavening process. Besides the ‘Dutch’ style cocoa, you will also need these ingredients. 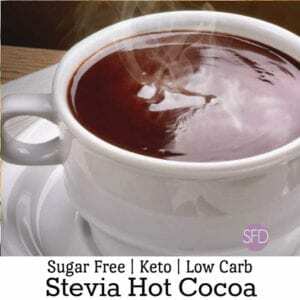 Cocoa Powder (Unsweetened Dutch Style)- 1/2 cup. Butter (unsalted is best)- 1 1/2 sticks room temperature (that’s 3/4 cup). Sugar Alternative- The equivalent to 2 cups of sugar (granular style alternative recommended). How to make this cake. Preheat your oven to 350 and prep your pans for nonstick. I am a fan of cocoa powder or flour dusted parchment paper. The flour works well but, will also leave a bit of white residue (which you can dust off or frost over later). This cake bakes well when in the center of the oven to allow the heat to distribute evenly. This recipe can make a sheet cake or two standard sized smaller cakes (round etc.). Sift or whisk together the flour, cocoa powder and baking powder in a bowl. Set this bowl aside. Using a stand mixer (paddle works best), cream together the butter, sugar alternative and the salt. This will need to get creamy so cream it for 5-7 minutes if needed. Once the butter and sugar alternative mixture is creamy, you can add your eggs, one egg at a time, mixing between additions. Then add the vanilla, water and milk- mixing a bit between additions. Finally, add the dry ingredients from the first bowl to the mix half at a time. Be sure to scrape the sides of the bowl between and after these additions. Depending on what size pan you are using, your cake(s) will need to bake for about 30-35 minutes. Simply check the cake(s) with a toothpick to be sure. Allow your cake(s) to cool completely before frosting them as you do not want melted frosting on your beautiful cake(s). 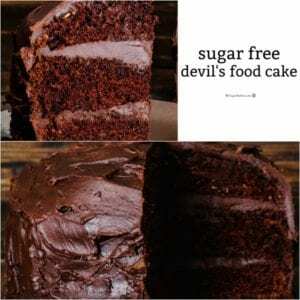 A sugar free version of a classic Devil's Food Cake. Cocoa Powder Unsweetened Dutch Style- 1/2 cup. Butter unsalted is best- 1 1/2 sticks room temperature (that's 3/4 cup). Sugar Alternative- The equivalent to 2 cups of sugar granular style alternative recommended. Warm tap Water- 1/2 Cup. Preheat your oven to 350 and prep your pans for nonstick. I am a fan of cocoa powder or flour dusted parchment paper. The flour works well but will also leave a bit of white residue (which you can dust off or frost over later). This cake bakes well when in the center of the oven to allow the heat to distribute evenly. This recipe can make a sheet cake or two standard sized smaller cakes (round etc.). Sift or whisk together the flour cocoa powder and baking soda in a bowl. Set this bowl aside. Using a stand mixer paddle works best, cream together the butter, sugar alternative and the salt. This will need to get creamy so cream it for 5-7 minutes if needed. Once the butter and sugar alternative mixture is creamy you can add your eggs, one egg at a time, mixing between additions. Then add the vanilla, water and milk- mixing a bit between additions. Finally add the dry ingredients from the first bowl to the mix half at a time. Be sure to scrape the sides of the bowl between and after these additions. Depending on what size pan you are using your cake(s) will need to bake for about 30-35 minutes. Simply check the cake(s) with a toothpick to be sure. Allow your cake s to cool completely before frosting them as you do not want melted frosting on your beautiful cake(s). Sift or whisk together the flour, cocoa powder and baking soda in a bowl. Set this bowl aside. Do you use baking soda or paling powder? The ingredients say powder but instructions say soda. It is 1/2 teaspoon of vanilla and also baking powder not baking soda in regard to your other question. Your print button does dot work. I tried stand it went elsewhere. And the recipe is so faint, I may not be able to read it aft it’s printed. 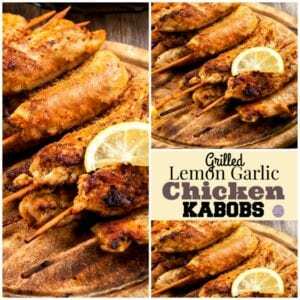 Arlene at Thank you I love your recipes. 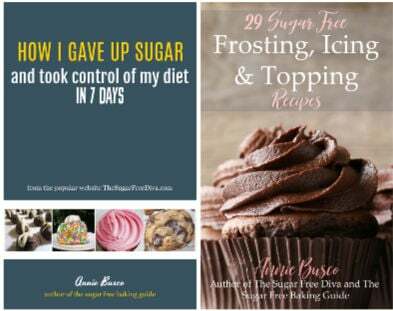 Thank you for posting sugar free recipes. I basically follow several of your recipes. I sent a recipe to myself and see if I can darken it so I can read it. Hi- make sure that you allow popups and refresh the page. thanks! Hi. The balance of ingredients is important to texture when you are using sugar substitutes. 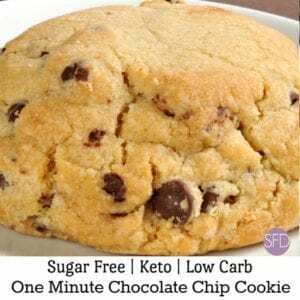 In a recipe such as this one it is advisable to use a granular sugar alternative that is similar to sugar in texture and volume. Thanks for checking in!